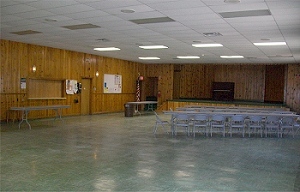 The Clark Township Community Center is available for rent to individuals, groups and organizations, at different rates depending upon use. Please call the Clerk's Office at 906-484-2672 for the rental rate schedule. 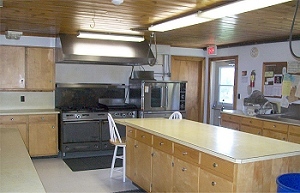 It's the location of choice for local events such as the community Christmas Party, Community Action, Senior dinners, elections, craft shows, Red Cross blood drives, as well as meetings for local organizations. In the winter, weather permitting, we provide a lighted outdoor skating rink. Also, a warm-up room with a restroom always available. 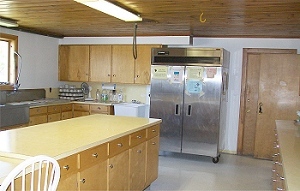 Rental rate for the facility with a commercial kitchen is $400.00 for non-residents or $350.00 for residents. 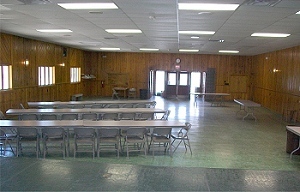 It is equipped with a stage and sound system, coat room, kitchen, male and female restrooms, 250 chairs and 32 eight-foot tables. Alcohol is allowed, and good parking available. New siding was put on the building in the summer of 2017 and new shingles on the roof in 2018. Also, a side room is available which can be used for a bar area or for a buffet dinner set up. Call now to reserve your event or to get more information. Contact the Clerk's Office at 906-484-2672.